I spent the last day of my trip taking a wee tour of sights outside Edinburgh. 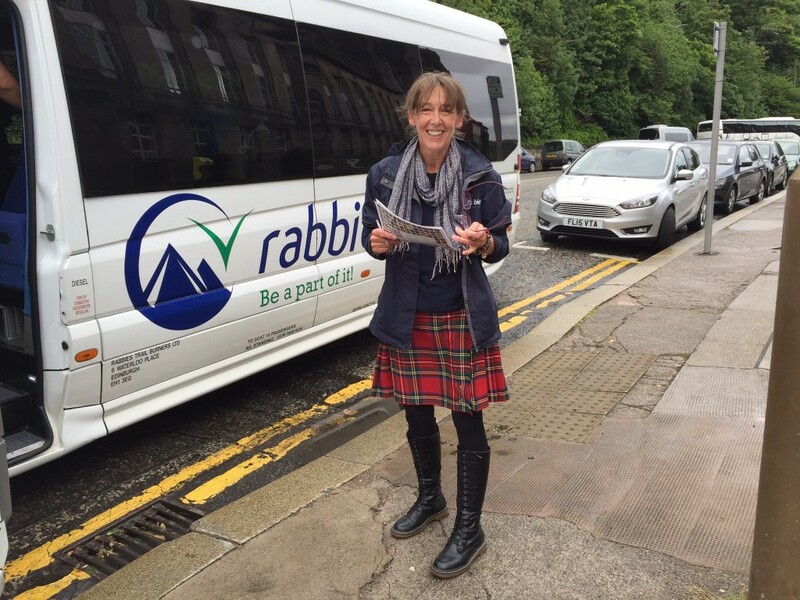 Gillian, our guide, entertained us with delightful Scottish music, historical overviews and cultural commentary. One of the most interesting things I learned from her is that Scotland set a goal of meeting 100% of its energy needs from renewable sources by 2020 and is on track to meet that goal. We spent most of the day in the beautiful Scottish Borders, an area of softly rolling hills between Scotland and England. 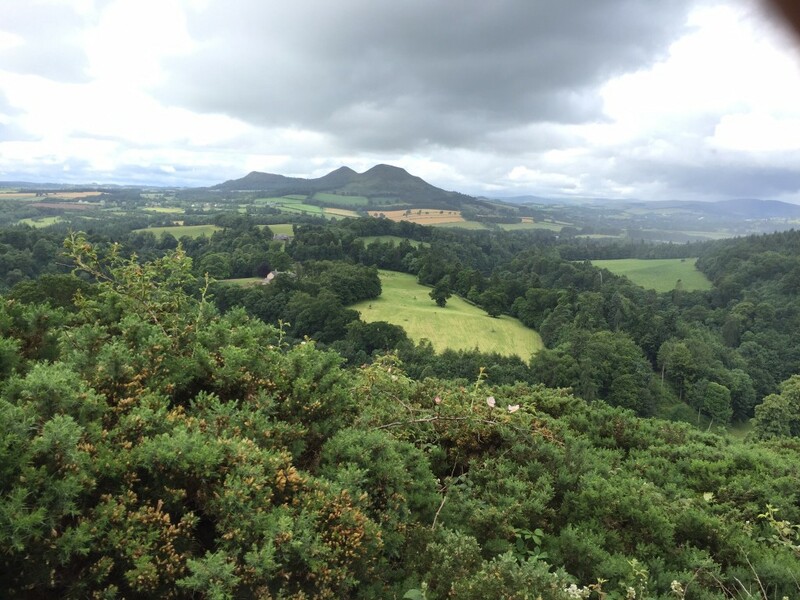 This beautiful view of the Eildon Hills is where Sir Walter Scott, one of Scotland’s most famous writers, would go for inspiration when he had writer’s block. 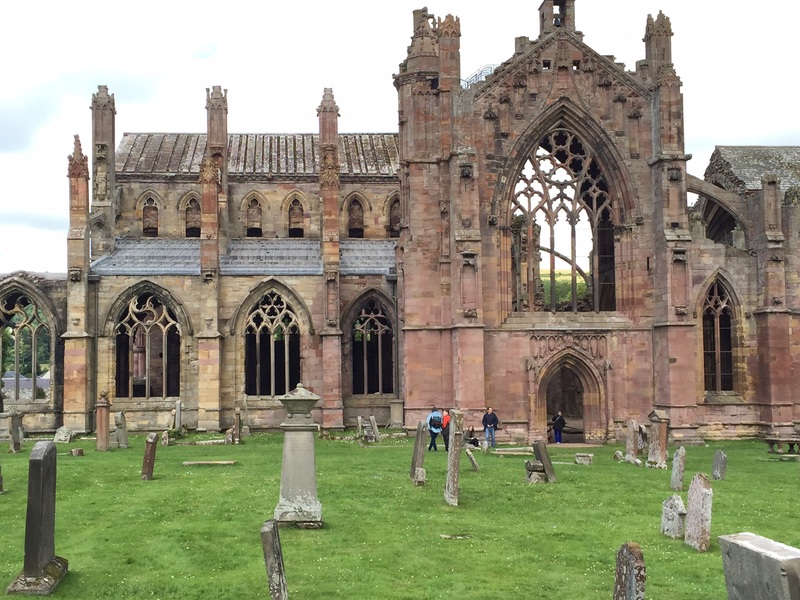 We visited the ruins of Melrose Abbey, where the heart of Robert the Bruce, generally considered to be Scotland’s greatest hero, is buried. 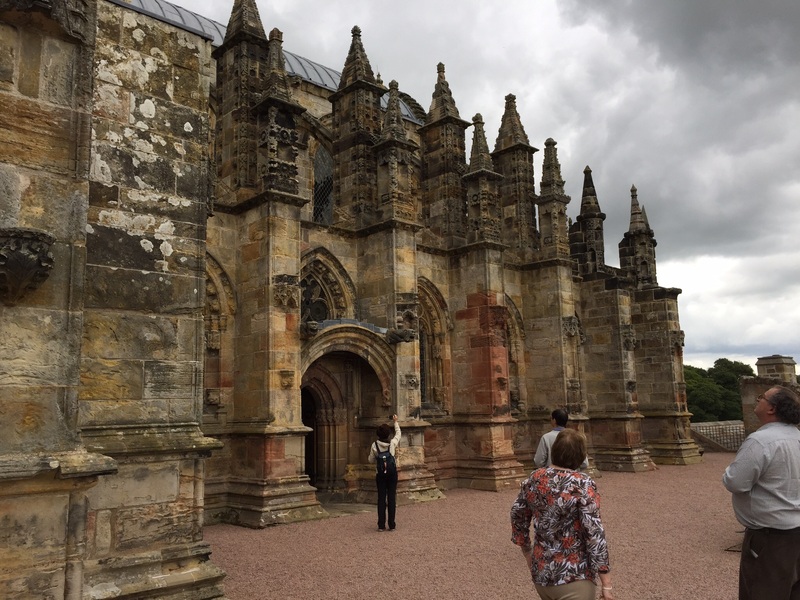 The final stop of the day was Rosslyn Chapel, made famous in the movie The Da Vinci Code. Prior to the release of the movie, 36,000 people visited the small chapel in one year. In the year after the release of the movie, 176,000 visitors came to the chapel. It was a great trip to three beautiful countries, and I am sure I will be back. This entry was posted in Great Britain 2015 on July 21, 2015 by debbie.